When a person gets to Key West, one of the first things they try to figure out is how they are going to see everything. 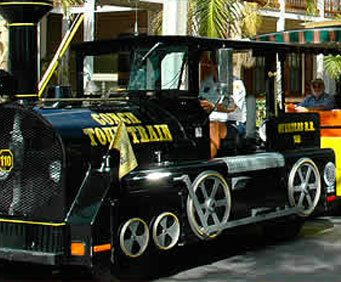 Now with the Conch Tour Train, they do not have to worry about it, and they will have a blast doing it. 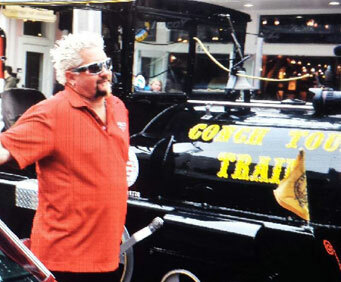 Now this is certainly an activity for the whole family, as a matter of fact kids 12 and under get to ride the train for free. The train is designed to take these passengers on a trip around this beautiful island, and people will see some landmarks. Now some of the highlights of this tour is that they will be entertained about stories dealing with some great history of the island. They will learn some interesting facts about Harry Truman, John James Audubon and Ernest Hemingway. Now as the trip continues on, passengers will feel as if they were in a time machine and traveled back in time, as they learn facts about the past of the island. 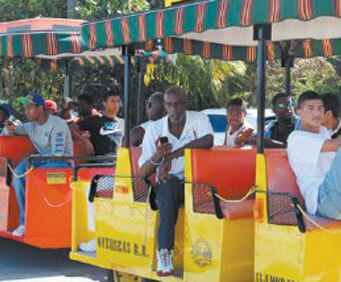 They will learn how the railroad that came in 1912 changed the landscape of the island forever. This is a fun way to learn about history, for the kids. Now this island is a beautiful island, and people love visiting it, because of the scenery and the weather. Now people can learn about where they are staying a totally unique and different way, and the great news is that the kids will have a blast riding the train and the adults will learn some information they probably knew nothing about. When you arrive in port in Key West, take the Conch Tour Train shore excursion; you'll see the best of Key West on the tour that's been entertaining visitors to the Island City since 1958. You'll hear legends and lore of this charming tropical paradise like stories about Henry Flagler's railroad, which arrived in Key West September 22, 1912, and forever changed the Island City. While you're in port in Key West, hop on the Conch Tour Train for a trip around the southernmost island in the archipelago that is one of America's finest jewels. The train will take you on a ride through Key West's past - go back to the days before civilization, when fierce Native Americans left their enemy's bones to bleach in a tropical wilderness, naming the island Bone Key. Hear about bold Spanish explorers, brave "wreckers," great cigar barons and sponge magnets. Get to know characters like John James Audubon, Ernest Hemingway and Harry S Truman and, like them, become captivated by Key West's magic. This excursion is located within a 10-minute walk to the cruise port so you determine the time you return to your ship in Key West. Please allow yourself ample time to enjoy the excursion and ensure your timely return to the port. This excursion is not covered by our Worry-free policy.